I know it's just the end of January, but spring will be upon us before we know it. Pre-production time is NOW for spring recording projects. Meetings with producer prospective production teams, songwriting and song-gathering, as well as physical, mental and financial wellness activities. If, that is, you want this to be the artistically best and most cost-effective production you can do! Find out if you're really ready to record. Do your homework by choosing a great production team who can get your project done within your budget. Also, have a plan to promote and market your project. This will almost always include playing live... booking gigs. It has always been, and still is the case, that the best way to gain a following is to play for them in ever widening concentric circles. Find a 'base' and branch out from there. 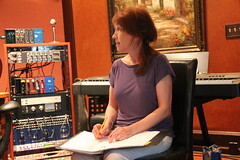 Pre-production readiness will make the difference in the quality, the reach and the success of your recording project. Informed is empowered. And now is the time. When it comes to finding your own vocal uniqueness, you have to create your own vocal art. Very much like painting your own picture or writing your own novel, you take the color palate and alphabet of other vocal masters and create your own vocal work of art. It's a process; most people start by tracing the vocal masters to gain the vocal 'alphabet' from which unique voices make their own sentences. This tracing of other voices begins in early childhood. 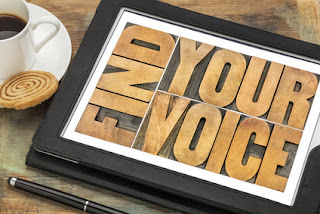 Ask yourself if your speaking voice resembles someone in your family, and unless you've trained to change it (and you can), you'll most probably affirm you have an inherited sound. Some voices begin making their own sentences quite early, some, like me, later in adulthood. I was a club singer, jingle singer and background session singer before I began finding my own voice. That process fast forwarded when I began to write my own songs. You may find that to be true as well. I was able to land a recording artist deal and have some hits, but truly, I feel more like an artist today than ever, because I keep writing, experimenting and performing. There is no shortcut, except that of dedicating time to training and experimentation. If you are seriously wanting to create a unique vocal sound for a recording artist production, I greatly expand on this training and a ton more in my "Singing In The Studio" multimedia guide. And/or, check into some vocal lessons by a coach who specializes in developing artist's voices. People sing for different reasons, all are valid. Karaoke singing, cover band singing, choir singing, background studio singing... all these involve the singer needing to sound like someone else, or blend with other voices. 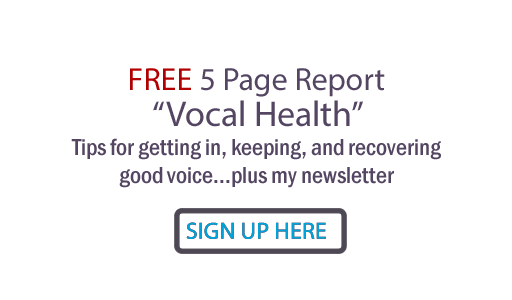 To do this very well, vocal techniques need to be finely honed to adjust and match tone, rhythm, diction inflection, cutoffs and vocal licks and more. The best way to do this is to start by ...tracing the masters. Love jazz? Study both legendary jazz voices and current masters ( Jane Monheit or Michael Buble). Love R&B? I'm absolutely sure Adele studied other r&b singers for years. Love country? This is a huge, diverse genre full of sub-genres. For a great, clickable list, check out AllMusic's portal page on country music. Love pop and/or rock? Again.. a huge field with sub-genres.. Try this AllMusic page. From the menu at the top of that page, you can see and explore all kinds of other genres of music's top artists. Get some headphones and listen intensely to your favorite vocalists do their thing. Deeply notice and try to mentally memorize their tone, style, rhythms. Don't sing out loud, don't make an audible sound... just actively mime, trying to trace the voice exactly, using your face and body language to silently sing. Then start lightly singing softly but audibly, still mostly listening. Once you are sure you're tracing the voice accurately, increase your volume til you are singing as loud as they are. Then try getting just a track to the song and see if you can sound like that voice. Record yourself to know for sure. Working with singers who are also songwriters, I am frequently asked what I think about song critiques. Here is what I tell them: Critiques of songs can either help the writer turn a mediocre tune into hit song... or they can absolutely kill the song, derail and shut down the voice of the writer. Where can you get song critiques? They can all be right ...and they can all be wrong. There are examples of hit songs that break most of the songwriting 'rules' you will hear about. If you are on the leading edge of a musical movement (think Dylan, Morrissette, Ani DeFranco) you will DEFINITELY be breaking some rules. And...rules are different in different genres. So how do you know your song is well written? You can get some good courses, books, critiques from pros. I've seen some great ones with insight that can help especially new writers tremendously. But more often, I see critiques that are just someone's personal preference - which may or may not be relevant to your ideal audience or your heart. And it's not about how long it takes you to write... I took a day to write "Early Fall". It took 3 months to co-write "One Way Ticket"... because Keith Hinton and I actually thought of too many options and had to weed them out! So yes, get your songs critiqued, get training, get better... but remember that songwriting is an art more than it's a science. After you get your critique, ask yourself in your heart of hearts if you agree with the revision suggestions. If so... edit your song. If not, maybe try getting other opinions from a different sources (and audiences). Or maybe... stick a fork in your song, it's done! Have any of you gotten some song critiques you thought helped you be a better writer? Where did you get those reviews done? Do you disagree with what I've said here? Why or why not?